'Pro Embed' is a tour upgrade that allows controlling embed branding and appearance for every single tour. 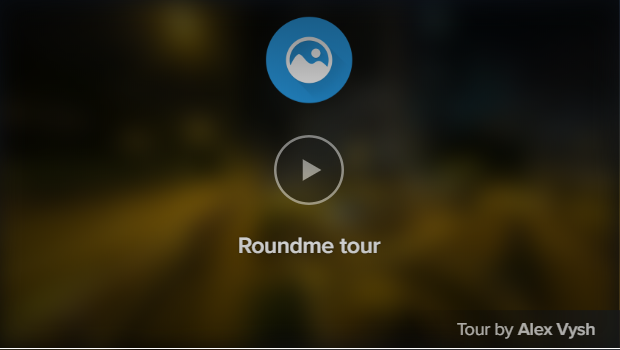 You can disable the launch screen and make your embedded tour to start with the page it is embedded to ('Autoplay' feature). You can also customize the logo and hide the titles you don't need. In this section you can find all the settings which affect the presentation of the tour. You can set the initial settings for Autorotation and Autofollow, set the map to be opened by default, control the visibility of titles and some of GUI elements. You can also disable some system features like Share&Embed, Like, etc. You can browse and test all the 'Pro Embed' settings before purchasing the tour upgrade. Open your tour in the edit mode, click Pro Embed icon. All the changes you make in the menu on the left affect the preview of your tour on the right. Please find the step-by-step guide to 'Pro Embed' features here.